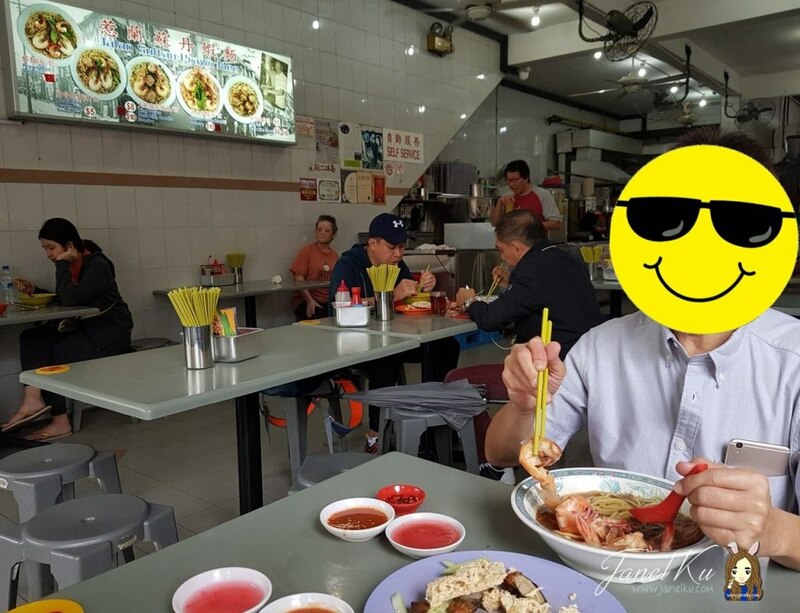 I brought my dad to Jalan Sultan Prawn Mee 惹蘭蘇丹蝦麺 at Kallang on his birthday, because it was one of his favourite dishes. I heard how the soup version of the prawn noodle here was good, and so here we came to try it. 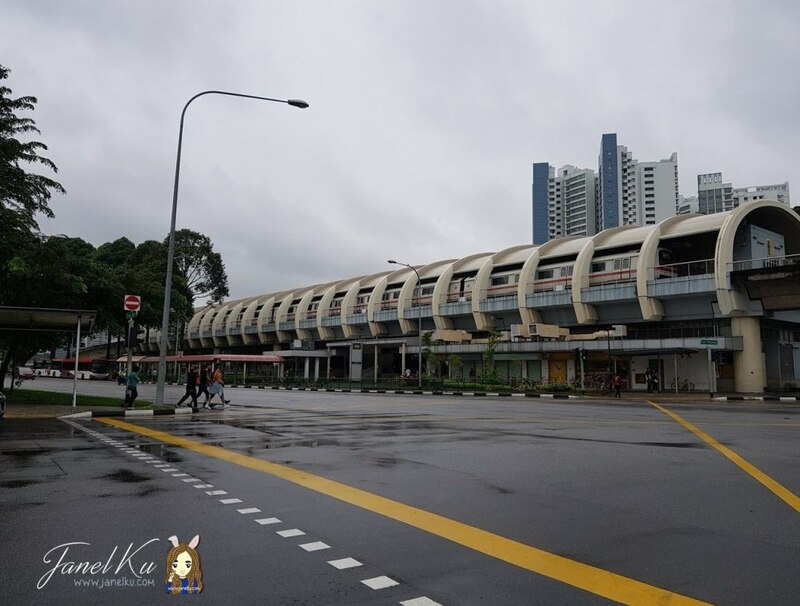 The eatery is conveniently located within walking distance of Kallang MRT Station. There are a couple of parking spaces available in front of the eatery but it was all taken up when we visited. We took a grab there since I didn't want my dad to drive on his birthday (haha). 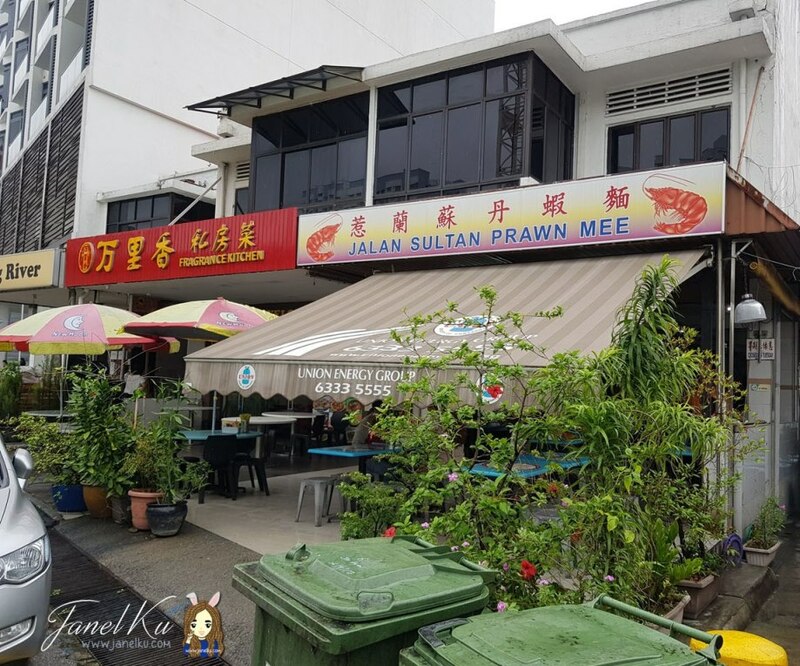 Jalan Sultan Prawn Mee is a no frills eatery, with no air-conditioning available. I kept looking at the menu board the moment I sat down (free seating, obviously). I was a little blur, forgot to take note of my table number, but when I went to the cashier, she roughly knew where I was sitting. 3 types of noodles are available for selection. 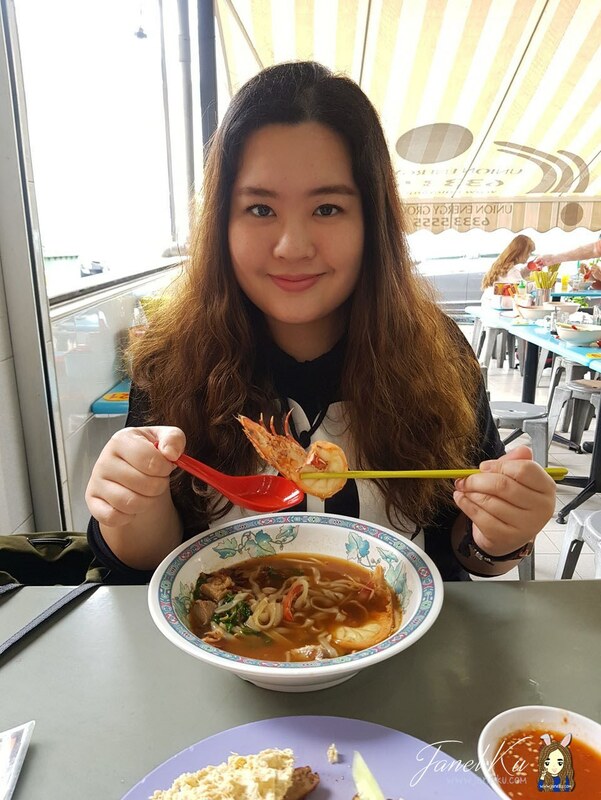 I didn't like the traditional yellow mee that went with the typical prawn mee so I chose kway teow instead, while my dad kept to his favourite yellow mee. Every table also has a set of condiments you can add into your bowl as well - soya sauce, red chopped chilli padi, pepper, etc. The menu is straightforward with a few choices - all prawn mee (other than the pig's tail pork ribs soup). But you get to choose if you want to soup or dry versions. Both of us chose the soup version. And since we came all the way here, I decided to get him the King Prawn Mee because, you know, he's king for the day. There is also a stall selling Ngoh Hiang (fried fritters). A must-eat as well at this place. I ordered the King Prawn Pork Ribs Prawn Mee, and my dad ordered the King Prawn Mee. Each costed $10. The pork ribs in my bowl were tender, but small. The broth was not exactly rich, but was flavourful, the essence of prawn seeping out with every taste of the soup. A tad oily too, because of some pork lard added in the bowl, enhancing the overall flavour of the dish. Another reason why I like the king prawns here is because it's filled with prawn roe (see the orange strip on the side of the prawn in the photo)! Also, they removed the unsightly black prawn waste, so it's good for people who can't stand seeing that on their prawns. For me, I'll eat it with, or without. Lol. A special shoutout here to the Ngoh Hiang stall as well, which we enjoyed having with our prawn mee. The dish is served with 2 dipping sauces, one pink sauce and one chilli sauce. The pink sauce is a light, sweet sauce. My dad says, rarely people still serve this sauce anymore. But he noted that the colour of the sauce here is a bit lighter than what they used to serve in the past. Not sure if there's any change to it, but I enjoyed the chilli dipping sauce more. Blocked out my dad's face, because he will probably scold me if I put up his photo on the blog. No family photos on the blog, that's the rule. Lol. Overall, with good company, both of us enjoyed the meal. But I do feel that it is still considered to be on the expensive side, because we ordered the king prawns. 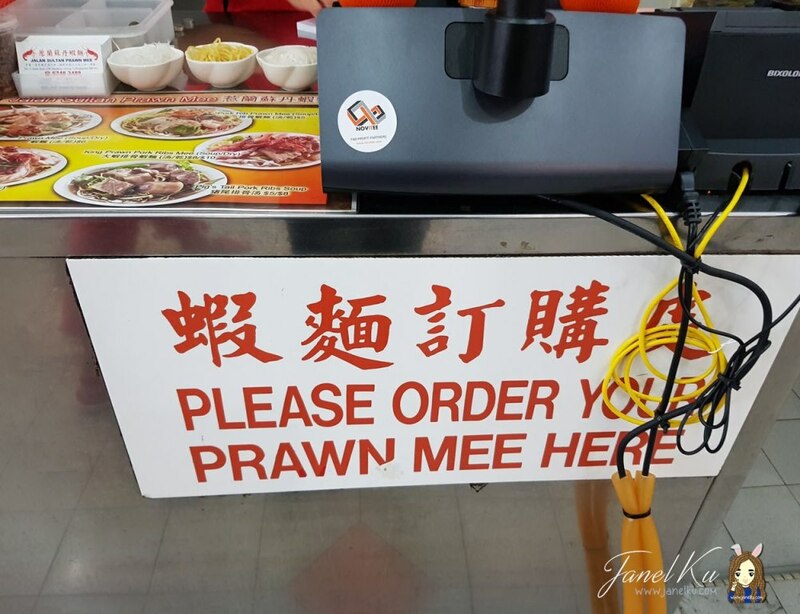 Those who wants to save some money can order the regular prawn mee version, which goes for $6 a bowl.